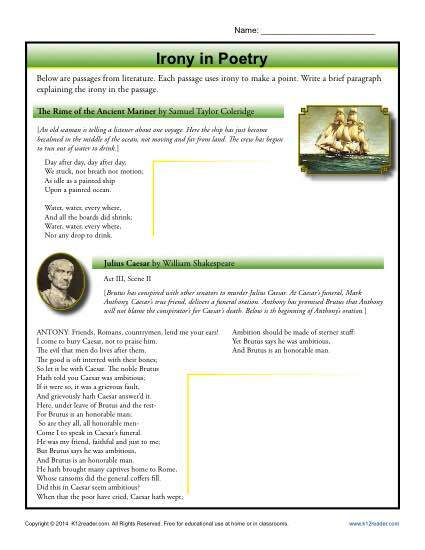 Selections from “The Rime of the Ancient Mariner” and Mark Anthony’s oration in Shakespeare’s “Julius Cesaer” are the passages in this irony worksheet. Your student will analyze and explain the irony in each selection. While it’s a great way to work on Common Core Standards for 8-12 grade Reading: Literature, it may also be beneficial for other students.